We work with a number of property management and rental companies who represent owners from around the world, in order to be able to offer our clients a wide choice of vacation homes for rent near Disney. We offer vacation homes in Davenport, Kissimmee, Reunion, and Championsgate to name just a few of the most popular areas for vacation rentals near to Disney and the other theme parks and attractions. All of our vacation rentals are typically within a 20 drive of the theme parks, shopping malls and restaurants. 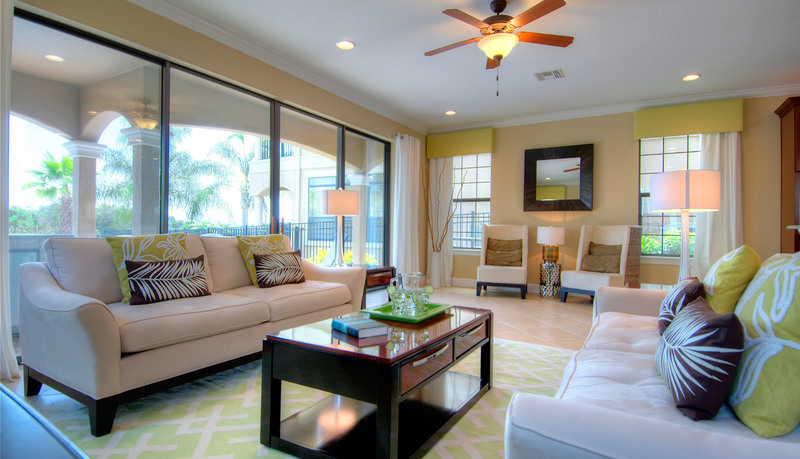 Our Orlando holiday villas, vacation homes and townhomes are all exceptionally clean, beautifully furnished and in great resort communities. These vacation homes are located in the best fully blown resort communities. The onsite amenities are second to none and include private water parks, lazy rivers, FlowRider Surf Machines, soccer pitches and tennis courts plus stunning clubhouses, bars and restaurants. During peak weeks, if fully occupied, our vacation homes work out at approximately $25-$28 per person per night, regardless of which size property you choose to book. All of our vacation homes are privately owned and beautifully furnished. They represent the best quality homes in their respective communities and are in high demand throughout the year. Occasionally we have late availability due to cancellations. Please contact us for special offers. When you find a vacation home you like, simply fill in the enquiry form and the relevant booking company will be in contact with you to organize payment and finalize the booking. Orlando Florida Homes facilitates introductions between vacation home owners, property managers and renters in order to make each transaction, either purchase or rental as pleasurable an experience as is possible.